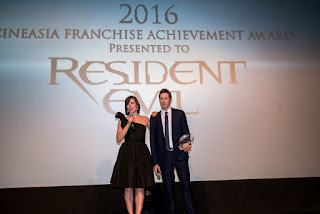 Home / AWARD GIVING BODIES / TALK OF THE TOWN / Jovovich, Anderson Accept Franchise Achievement Award for "Resident Evil"
The astoundingly successful film franchise adaptation of Capcom’s hugely popular video game series, has grossed over $1 billion worldwide to date. 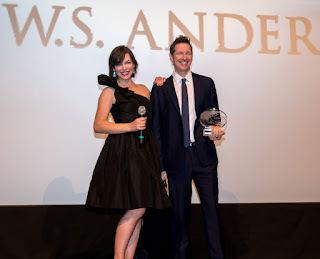 “It is such an honor to be here and receive this award,” beams Milla Jovovich in her acceptance speech. 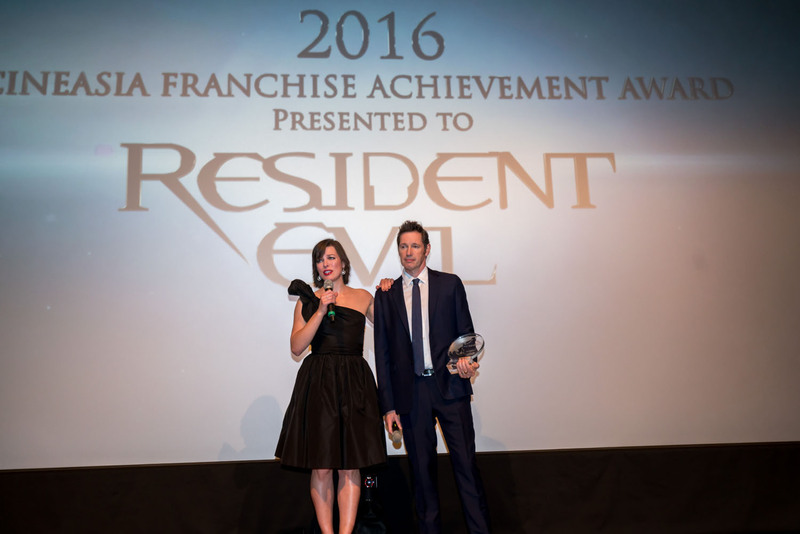 In a related development, Resident Evil fans will be able to get in touch with their heroes through a new interactive experience called Road To Raccoon City. The immersive experience features haptic technology from Sony combined with motion picture content from Resident Evil – Final Chapter, and was launched at CineAsia. Haptic technology generates tactile sensations in a user’s body through vibrations. In Road to Raccoon City, users wear a specially equipped vest and shoot at zombies on a projected screen. As the zombies attack, the vest generates physical and audio responses to simulate the attack. 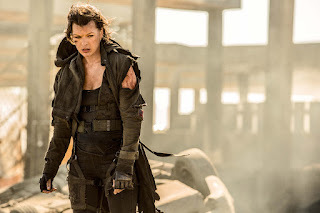 Jovovich provides a voice-over. 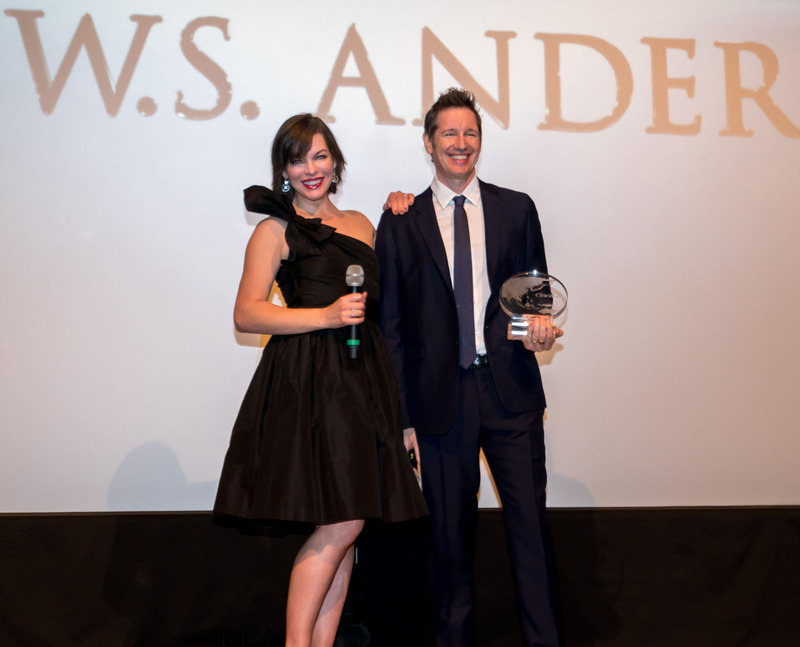 Designed as a complement to the movie, which itself is derived from a Capcom game, the sensory experience is result of cooperation between Sony Pictures Entertainment (SPE), video production company Sony PCL, and parent company Sony Corp.